Limestone is a common, chemical sedimentary rock formed primarily from calcium carbonate. It is generally light-colored and can also include fossils of calcium carbonate-containing organisms, like corals. Limestone can be found all over the world and is the major type of rock found in karst features (crystal cave systems found in bedrock). Limestone is a common rock. One out of every 10 sedimentary rocks is a limestone. It is one of the most useful rocks available on the planet. The solubility and the color of limestone often makes it similar to other sedimentary rocks such as dolomite and dolostone. The first man to make this distinction was Slovenian geologist Belsazar Hacquet, who discovered that limestone had different chemical properties than the other rocks it resembled. There are two types of sedimentary rocks: chemical and clastic. Limestone is a chemical sedimentary rock, which forms from the solidification of minerals out of solution into rock form. Because the chemicals in limestone can be readily dissolved by acidic solutions and water, they are able to form karst topography. Karst topography forms when limestone bedrock chemically reacts with liquids to form unusual features, like stalactites and stalagmites, which are the strange pointy features found in crystal caves around the world and sinkholes. When calcium-rich minerals in limestone are dissolved into groundwater, it forms what is referred to as hard water or water that has higher than normal pH and mineral content. We are suitably engaged in delivering a of Limestone Powder that is broadly demanded in different industries owing to its qualitative features. 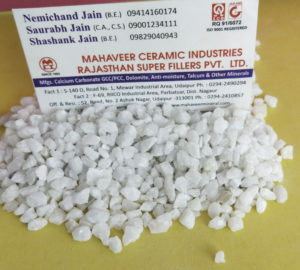 These offered powder are widely used in different industries like cement, iron, steel, glass, fertilizers, hydrate lime and varied others.These offered products are developed by using high quality limestone and advanced machinery. This offered array of Limestone Powder can be availed from us at market leading prices. contact +919001234111 For more informationFind more about it, contact us.